How many of us remember learning poetry in high school? Quick: name one poem that you studied. Now that I have stumped most everyone, I confess: I was lucky to have two teachers who loved the lyrical word. One (Tom Robertson), freed a bunch of freshmen from their cluelessness by bringing in rock music lyrics and records, and going over them for a month, before returning us to our regularly scheduled program: the dead poets collecting dust in our literature textbooks. It worked. The other (Dr. Bev Bosak), gave me the job of co-editing the Carlsbad High School literary journal, Spindrift. I’ve been writing poetry since, along with newspaper, magazine and web journalism, fiction and non-fiction books, along with a lot of editing and ghostwriting. Then Collins, the nation’s most popular and one of its most beloved poets, came along to make poetry cool. Cool for who? Us? Our parents? Librarians? The neighborhood bookworms? No: for high school students nationwide. Seriously. 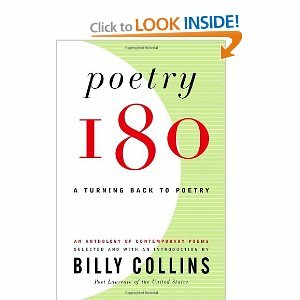 When he was the Poet Laureate of the United States from 2001-2003, Collins developed the Poetry 180 program, which changed the face of how teachers taught poetry and students learned it. All of a sudden, kids not only read works from poets who were still alive – but, in some cases, just a little bit older than themselves. Experience it they did. The Poetry 180 program was the biggest thing to happen to contemporary poetry entering American schools since the Beat Generation. Featuring very contemporary poets of all ages like Jane Kenyon (“The Blue Bowl”), Ron Koertge (“Do You Have Any Advice For Those Of Us Just Starting Out”), Laurel Blossom (“Radio”), Geraldine Connolly (“The Summer I Was Sixteen”), and Daisy Fried (“She Didn’t Mean To Do It”), the two print anthologies have sold a quarter-million copies. The website that started it all (http://www.loc.gov/poetry/180/) has received millions of visits. Not only did reading poetry become cool for students, but so did writing it. Last time I visited my Twitter feed, I was following more than 1,000 literary and poetry journals, most started in the last five years, and most run by young adults. I would bet nearly all of them have benefitted from Poetry 180. Collections such as Picnic, Lightning, Sailing Around the Room, The Trouble With Poetry and Ballistics make Collins the most-read poet today. He’s transcended the niche of hard-core poetry readers, in large part thanks to three events: appearances on NPR and A Prairie Home Companion, followed by his appointment as the Poet Laureate of the United States. 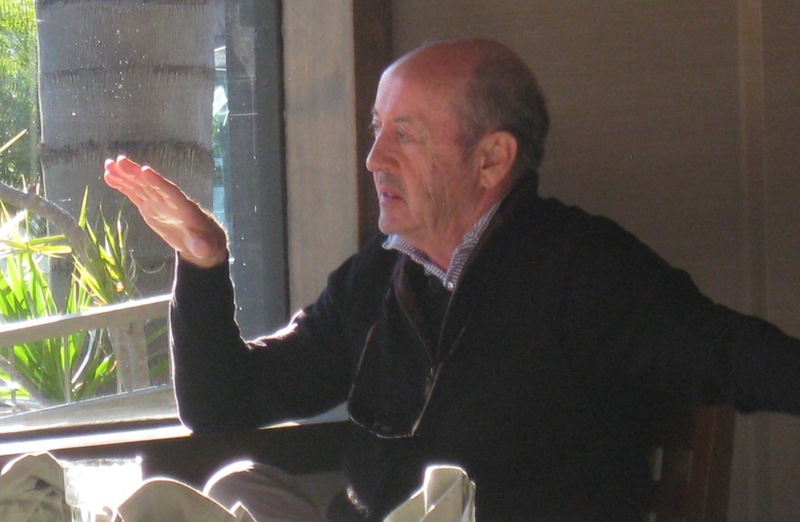 Collins’ humorous take on the world – including himself – has added to the persona of Poetry 180. 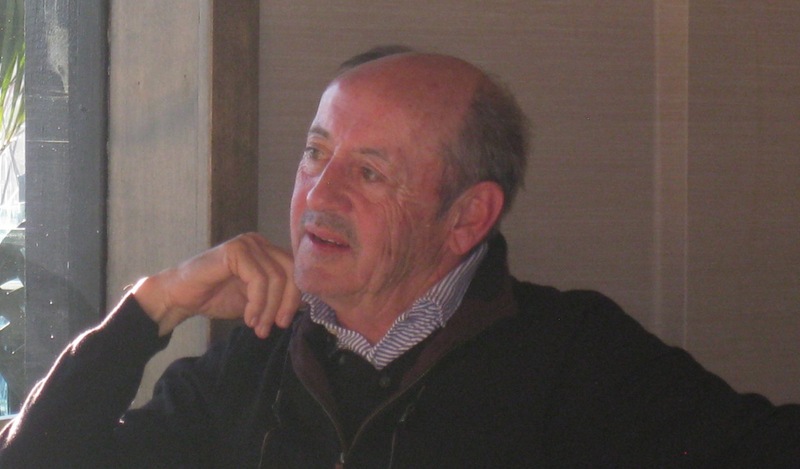 Not only does he give poetry a sense of present-day coolness, but he’s also one of those very cool people you love to hang around with as they pass through their 70s, dispensing wisdom and great humor, often in the same sentence. His poems convey the same feeling, finding extraordinary perceptions in ordinary moments, yet coming across with a simplicity that draws people in for what has become an enduring relationship with his words. Which is exactly why he created Poetry 180 – to keep kids coming back for more, for the rest of their lives.